Are you looking for something easy and fun to do this summer? We have been experimenting with sensory play lately. One recipe we have tried and loved was marshmallow play dough. It is so easy and fun to make that the kids can join in the fun of making and playing. Another great feature is that it is edible so it is perfect for the young ones who love to put everything in their mouths. First put 3 tbs of cornstarch into your microwave safe bowl. Then add about 1 cup of mini marshmallows or 6 jumbo marshmallows. Next add your 2 tsp of oil. Now you are going to pop this mixture into the microwave for about 30 seconds. Add a few drops of food coloring into each drop. Mix the food coloring in each. *TIP* If your dough is really sticky add a little bit more cornstarch and a drop of oil. 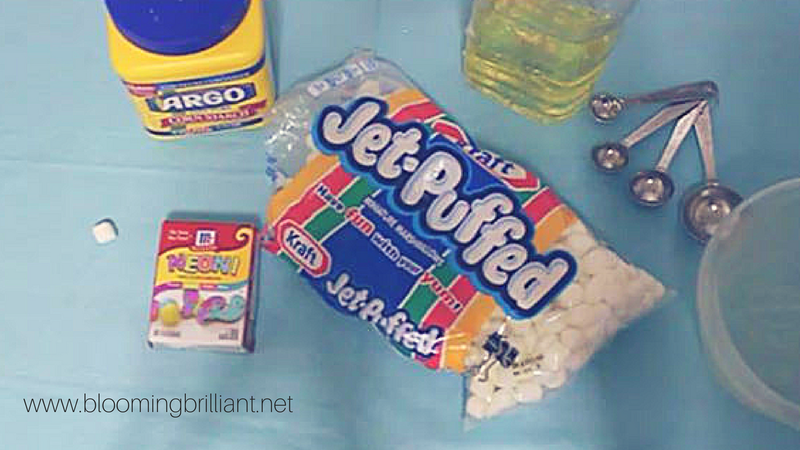 Have you made marshmallow play dough? What did you think? What other sensory recipes would you like to see? Let us know in the comments below.